Since 1998 23 per cent of Garda stations on the border have been shut, raising questions on whether sufficient resources exist in the border region to police any change to the current status quo. 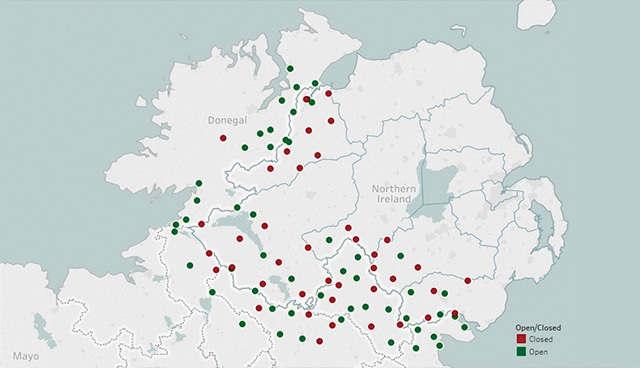 Recent figures attained by The Detail highlight that across Ireland, more than 40 per cent of police stations within a 10-mile radius of the border have been closed since the Good Friday Agreement. Out of the 92 stations recorded in 1998, both north and south, 52 now remain, many of which are part-time or have limited opening times to the public. 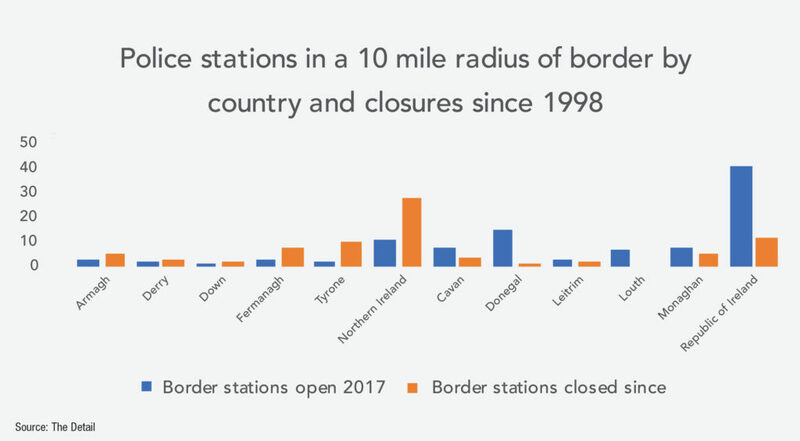 While the majority of these closures have taken place in Northern Ireland, with 28 stations run by either the PSNI or the former RUC now shut, An Garda Síochána have closed 12 stations close to the 300-mile land-border over the past two decades. Currently 41 Garda stations remain operational within a 10-mile radius of the border, with an estimated 275 crossings, compared to 11 stations in Northern Ireland, none of which operate on a 24-hour basis. Of the 52 border police stations that remain today, the majority operate on a part-time basis or have limited public opening hours. Analysis by the detail found that just eight of the 41 Garda border stations are open to the public on a 24-hour basis. 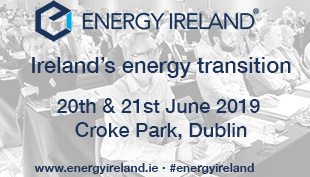 While police chiefs both north and south have outlined that contingency planning for Brexit is underway, uncertainty exists over the future form of a border between the UK and Europe in Ireland and there is no clear indication as to whether this would require extra manpower. At the Annual Cross Border Seminar on Organised Crime attended by Acting Garda Commissioner Dónal Ó Cualáin and PSNI Chief Constable George Hamilton at the end of 2017, it was highlighted that both forces believe the creation of more infrastructure than is currently in place at the border could create greater opportunities for violent dissident republicans and organised crime gangs. Justice Minister Charlie Flanagan outlined: “The imposition of a new range of physical border structures would give rise to a very serious challenge. Although both the UK and the EU have emphasised their desire not to see a hardening of the border in Ireland, both sides have yet to reach an agreement which would prevent any change to the current status quo. An Garda Síochána did not reply to a question from eolas magazine as to whether they believed the existing border facilities would be capable of policing a potential hard Brexit. However, towards the end of last year members of the Garda Representative Association (GRA), representing rank-and-file officers in the border region, chose to speak out and highlight their fears that resources would not be available to combat cross-border terrorism and crime in the event of a hard Brexit. Describing any notion that capacity exists to provide additional functions as “fanciful”. Writing in the Irish Independent, the GRA representatives said: “The simple fact is at the moment there are not enough Garda members to effectively police the large rural area surrounding the border. Deputy Director of the Centre for Cross Border Studies Anthony Soares says that while the potential implications of Brexit, in the form of increased levels of criminality and paramilitary activity, go far beyond the border, there has been no real thought given to what the consequences of Brexit will be for people working and living on either side of the border. “Introducing any new physical infrastructure or re-opening police stations along the border would also bring risks. If Brexit means reintroducing any infrastructure near or at the border, including police stations, they will become a potential target for attacks,” he told The Detail.